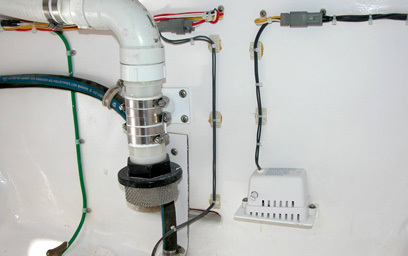 Weld Mount is the ideal method for mounting components to the hull or decks of cored fiberglass boats. Surface bonding Weld Mount fasteners eliminates drilling holes into the core eliminating the danger of delamination due to water intrusion. In addition Weld Mount fasteners are stronger and eliminate the need to glass in wood or other materials just to have a mounting surface. 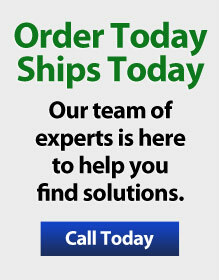 This saves significant labor, time and expense reducing the weight of the boat. Heavy water panel mounted to balsa cored bulkhead wall using 4 Weld Mount 1/4 x 20 studs. 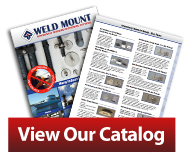 Weld Mount fasteners are ideal for use below the water line where holes should not be drilled. 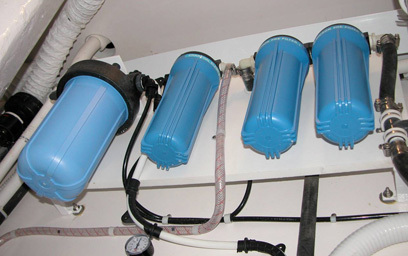 It's an ideal method for mounting bilge pumps. 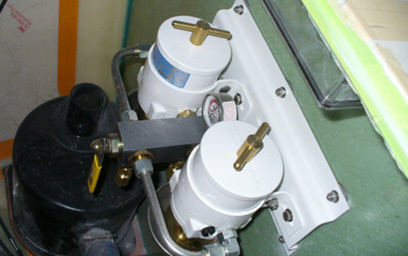 Weld Mount parts and adhesives are designed to use in the bilge where they would be submerged and exposed to hydrocarbons. 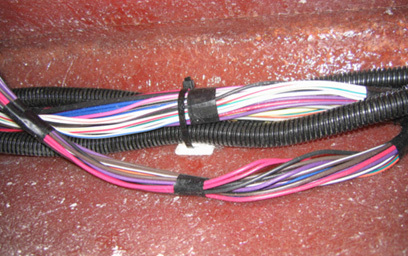 Shown here AT-5 wire tie mounts are used for wiring run in the bilge. 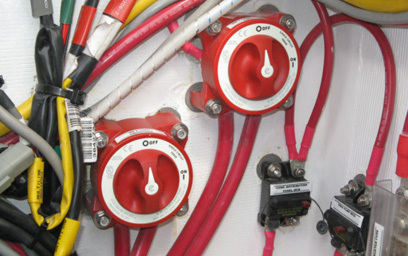 Weld Mount Studs are used to mount battery switches and fuse blocks to a cored bulkhead wall. Weld Mount Studs are used to mount a fuel filter panel to a cored bulkhead wall. Each of the 6 1/4 x 20 1" studs used has approximately 600 lbs of shear load capacity. Weld Mount fasteners are ideal for use on carbon fiber which can not be drilled. Here #10 x 24 studs are used to hold electrical wire runs in cushion clamps. 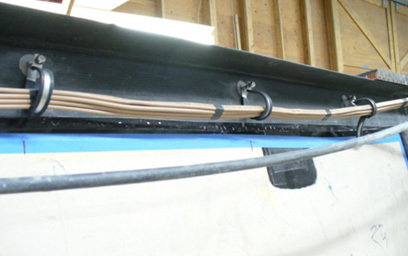 Weld Mount AT-5 tie mounts have become an industry standard for OEM boat builders. Often these tie mounts are set into wet resin in the lamination shop eliminating the need to adhesively bond them in place. Weld Mount adhesively bonded fasteners eliminate unsightly fasteners in many applications. Here a major OEM boat builder bonds 1/4 x 20 studs to the back side of an instrument panel which eliminates the need for exterior screws. 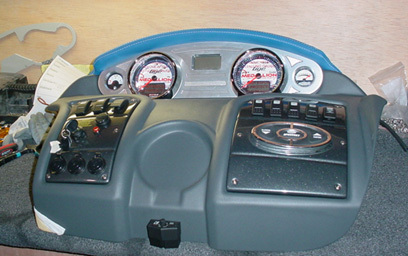 Weld Mount fasteners are ideal for use in center consoles.